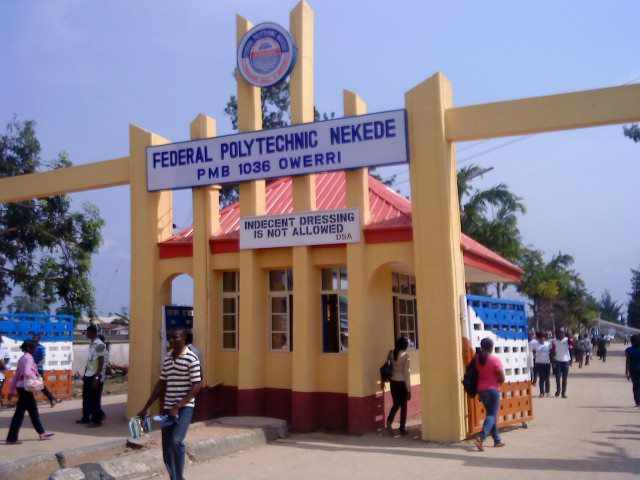 The Federal Polytechnic Nekede Supplementary Admission form into its Higher National Diploma (HND) programme for the 2018/2019 academic session is now on sale. The management of the Federal Polytechnic Nekede (NEKEDEPOLY) is using this medium to invite Interested and qualified candidates for admission into its HND programme for the 2018/2019 session. Prospective National Diploma (ND) Mechatronics Engineering Graduants who made 2.50 CGPA and above and who have completed their one(1) year IT programme as well as, those with(CGPA) of 2.49 and have completed two (2) years of IT Programme are advised to apply for HND into the following programmes. 1. All candidates MUST first go to the college official portal @ www.fpno.edu.ng and click on “Applicant link” on the home page under students. 2. Fill your Bio-data in the form and generate an invoice, print or copy out the RRR number, (you can do this on your mobile phone as well). 3. Proceed to any bank of your choice and make a payment of Seven Thousand, Five hundred naira (N7,500.00 only) on Remita platform. You can also choose to make your payment using your VERVE, VISA or MASTER CARD. If you choose the card payment option, you will be asked to fill the card details for the payment to be processed immediately. 4. Return to school portal www.fpno.edu.ng, and complete your application process. Submit your data as requested and print out your receipt and acknowledgment slip. 5. Applicants can start and complete this process from any location in the country. It is therefore advisable to minimize journeys to Imo State (Owerri) for the purpose of completing the form. There is no closing date for the sale and submission of Nekede Poly HND Supplementary form for 2018/19 session has not been announced as at the time of this publication (20th March, 2019). Please click on the twitter/facebook like buttons to share this info with your friends. Federal Poly Nekede National Diploma (ND) Evening/ Weekend Admission List for the 2018/2019 Academic Session is out.